These days, we consistently hear about how strong the U.S. economy is, with home values quickly increasing and low unemployment creating lucrative opportunities for workers. Despite that, many Americans are struggling financially and are unprepared not only to reach far-off goals like retirement but even to cover standard life expenses and debt management. 2018 is shaping up to be a slower year for auto sales and lending after two years of record-setting sales. Interest rates are increasing, and while those increases aren’t jaw-dropping, they’re likely to stop some auto buyers and borrowers from replacing their vehicles. 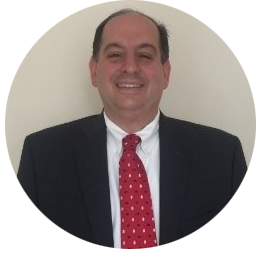 As Account Vice President for SWBC’s Financial Institution Group, John DeLuccia services Florida and Virginia financial institutions within lending services, insurance, and loss mitigation programs. Before joining SWBC in 2007, John worked with the Federal Reserve Bank as a Member Relationship Manager for Southeast Corporate Federal Credit Union, serving clients across South Florida, U.S. Virgin Islands, and Puerto Rico.